When there is water running down your walls, the reason is probably a leaking roof. Look for water stains or mildew to determine if you have an active leak. If so, you must seal the holes or replace the shingles immediately. Poor insulation can lead to a myriad of issues. So, you must make sure that you hire a professional to install your roof. Moss must be removed as soon as possible, especially if it blocks your gutters. Here’s a simple remedy you can try at your home. Mix 50% laundry strength liquid chlorine bleach with 50% water, and then spray it on your roof. After about 20-30 minutes, rinse it off with water. Blisters are caused by poor attic ventilation, which causes your roof to get too hot. Ensure that you have adequate ventilation. A qualified roofing contractor can assist you with this. Broken gutters need to be replaced as soon as possible since they can allow water to run down the side of your home, causing all sorts of issues, including siding rot and washed away landscaping. It may be good waking up to tweeting birds, but if they build their home in your roof, they can also be a nightmare. Best to evict them as soon as possible to prevent your roof from being damaged. Hiring a professional to inspect and help you maintain your roof is necessary. Having it checked regularly can prevent your roof from being severely damaged. It can also help you decrease your long-term costs. 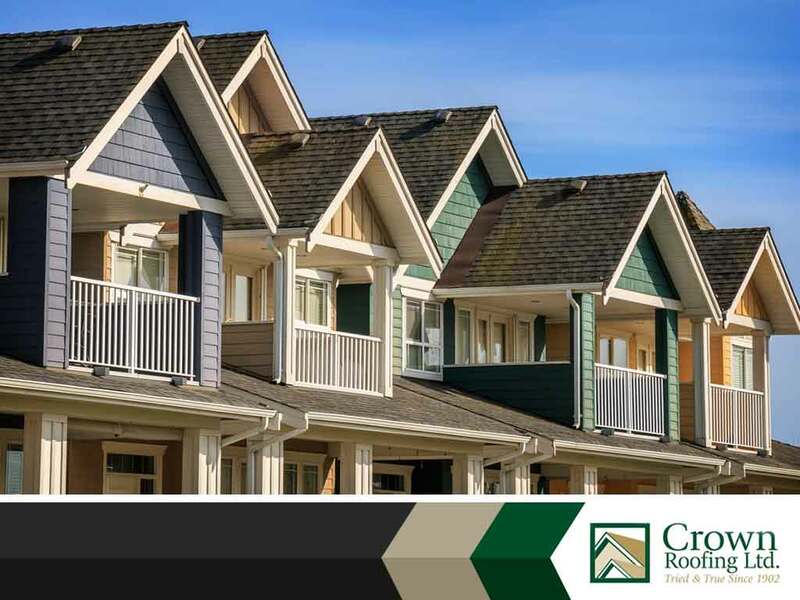 FoCrown Roofing provides the best maintenance, repair and installation services. Contact us now via (604) 210-6655, or fill out our contact form. We serve residents of Vancouver, BC, and nearby areas.